Do you have Lion Guard fans in your house!? 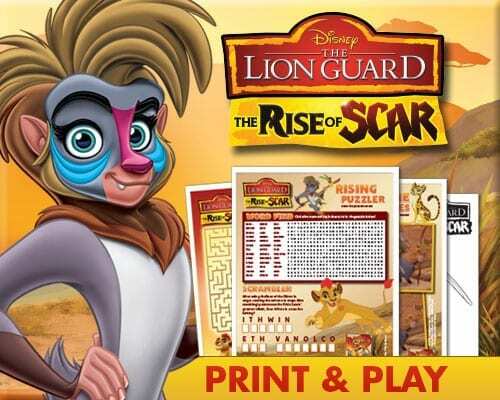 Then you are going to love the new special, Rise of Scar. Enter to win a copy below. Be prepared for the Rise of Scar! With the arrival of the Dry Season, tensions run high, patience wears thin and thirsty tempers flare. To make matters worse, Janja's hyenas, aided by Ushari the snake, discover a secret that could bring back the vengeful spirit of the legendary villain, Scar! 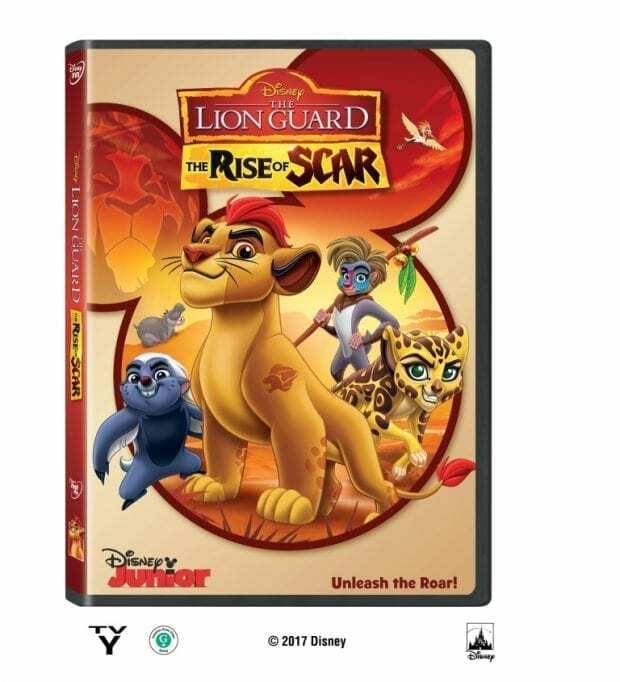 This new movie is packed with laughs, music, beloved characters and heart, The Lion Guard: The Rise of Scar is a must-own for the entire family! 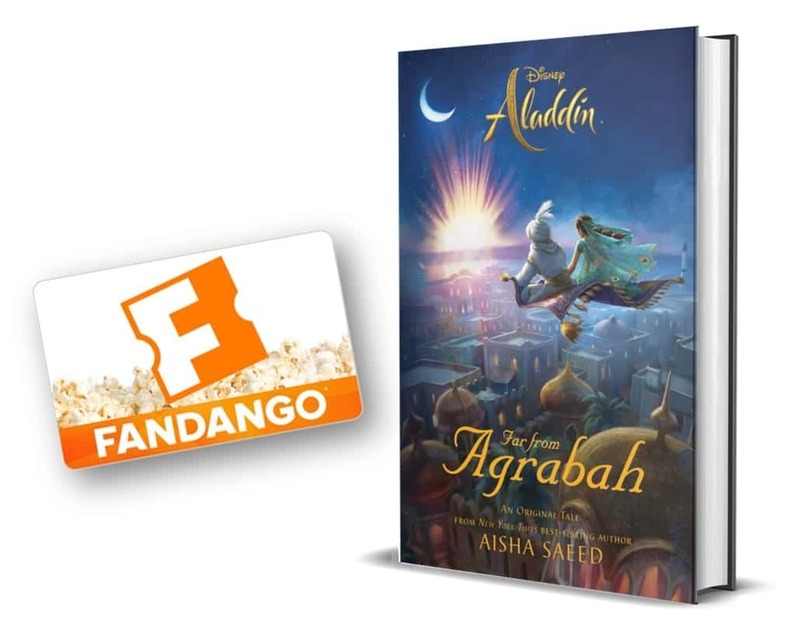 Bring home this heroic adventure on Disney DVD January 9th! Check out these great activity printables that you can do with your kids! Click on the image to open the printable in a new window. I like Beshte the hippo. I like Rafiki the best. We like Kion, Kiara’s brother. I love Rafiki the most. My favorite Lion King character is Zazu. Thanks for the giveaway. I hope that I win. My little girl likes the Kion the best.